Q. Is Model Dairy milk free of artificial growth hormones? A. Yes, our milk is free of artificial (recombinant) growth hormones. Model Dairy has agreements with the Northern Nevada farmers it purchases its milk from so they can guarantee none of the cows are treated with any artificial growth hormones (rBST). 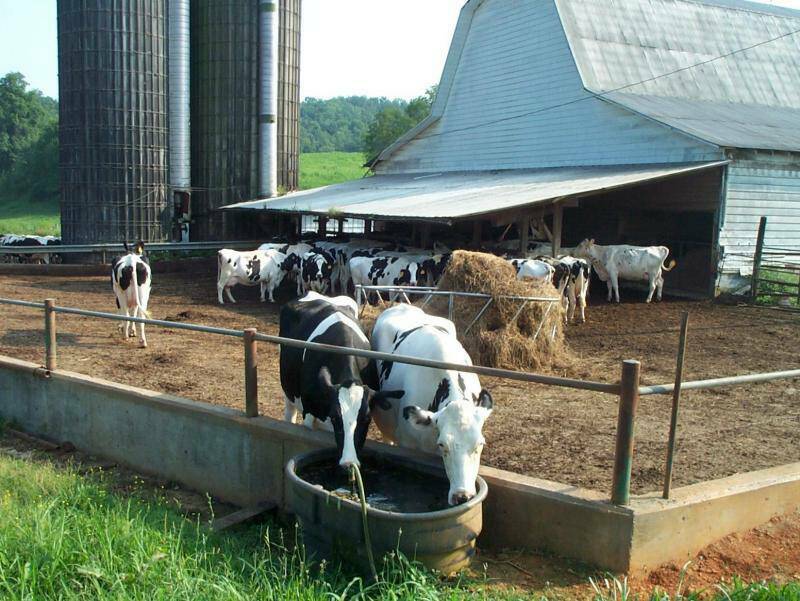 The agreement is in the form of affidavits that they farmers sign stating they will not use rBST. Q. 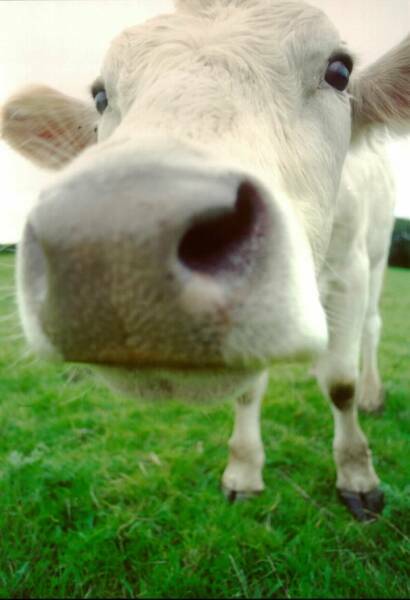 Do you give your cows antibiotics? Q. Where does Model Dairy milk come from? A. 100% of our milk comes from Northern Nevada farmers. We think that Nevada milk is better and you will too once you taste it. When you buy Model Dairy brand you are supporting small dairy farmers in Nevada instead of huge corporate farms in some other state. Q. Does Morning Star Distributing charge a delivery charge? A. Only if your order goes below our minimum for free delivery. To get free delivery you need at least 2 product units per delivery. A gallon of milk is worth 1 unit. The half gallon size is also worth 1 unit. All products have a unit value depending on cost. The total units delivered per month are divided by the number of actual deliveries and if you fall short you will be charged $1.50 per unit. To avoid the service charge try to take 2 Gallons or 2 Half Gallons of milk per delivery or take other items in addition to your milk order. Q. Is Model Dairy milk considered organic? A. No, our milk is not considered organic because we do not grow our own feed. We also do not in any way use irradiation, sewage sludge or genetically modified organisms in the production of our products. For those who want organic milk we carry the Orga brand organic milk. Q. What if I am not home when the milk is delivered? A. We deliver all our home delivery accounts by 7:00 AM at the latest. Let us know if your milkman comes after you leave and we may be able to get there earlier. Some people leave out a cooler with ice in it for the milk to be put in. We also have metal milk boxes that can be rented for 75 cents a month. Q. How will my milkman know what to deliver to my home each delivery? A. Most customers have a regular standing order that is brought to them each delivery. If you need to change/add to your order, you can call our 24 hour voice-mail message box and leave a message as late as midnight the night before your delivey. Q. How often can I get milk delivered? A. We make deliveries once a week. Call for the day of delivery in your area. Q. How will I be billed for my milk delivery? A. We will leave you a bill with your milk on the first delivery of the month for the previous month. Most people pay by sending a check in with the envelope provided. You can also set up automatic credit card charging or checking account charging of your monthly balance so you do not have to write checks. Q. What if I have a question on my bill? A. Just call the Morning Star Distributing office at 775-747-2379. You can also contact us by e-mail at morningstarmilk@sbcglobal.net. You can also leave a message for us to call you on the voice-mail system or put a note in with your check payment. Q. How do I order extra products? A. Simply call the voice-mail box number given to you when you started service and leave a message. If you have questions that need answered call our office at 775-747-2379. Q. Who do I contact to get delivery service? A. There are two ways to sign up for home delivery service. You may call or email Morning Star Distributing or you can sign up on this website under the sign up page link. Q. Does Model Dairy package their milk in glass bottles? A. No, we quit packaging in glass bottles many years ago because of the cost and liability of handling glass. Q. Does Morning Star Distributing just deliver dairy products? A. No, in addition to a wide range of dairy products Smith Brothers also offers a variety of other products including farm fresh eggs, orange juice, soy milk, and other items. In many homes both parents work and the convenience of home delivered products eliminates the daily trip to the grocery store. Q. I am moving, can I still have delivery service to my new home? A. We hope so! If you move out of our area there may be another Model Dairy independent distributor who will deliver in your new area. There is delivery available throughout Reno, Sparks, Carson City, and Fernley. Q. I am going on vacation or need to skip a delivery, how do I suspend service? A. If you need to suspend service or skip a delivery, please call the voice-mail system and leave your message. You can also make a web order change on this site. We do not recommend leaving notes on your porch that say you will be gone. Q. Is there a membership fee or contracts to sign? A. No, there are no membership fees and no contracts to sign. Q. Must I take delivery for a minimum period of time? A. No, there is no specified period of time you must sign up for delivery. You can stop your service whenever you want, but once you have enjoyed the convenience and the freshness of the products we are confident you will not want to stop. Q. How do I suggest new items for Morning Star Distributing to carry? A. We try to get the best products for you and your family to choose from. If you have something in mind you would like to see us carry, let us know and we will check it out. You can find all of the contact information on the "Ordering" page.